How to connect the devices? 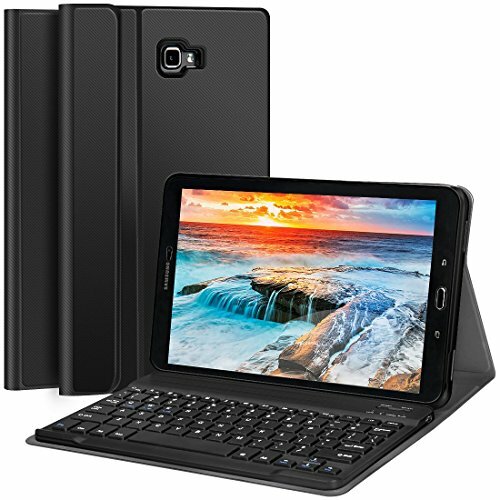 ★★★【Stylish Samsung Galaxy Tab A 10.1 Keyboard Case】This keyboard case is applied for Samsung Galaxy Tab A 10.1 No S Pen SM-T580/T585 Tablet, it is not compatible with Samsung Galaxy Tab A 10.1 with S Pen(SM-P580/P585) and any other model device. Please kindly check before purchase. ★★★【Detachable Magnet & 3 System Keyboard】The specially design features a removable keyboard that transforms your galaxy tablet into a laptop. You can use the keyboard to connect the Tablet/iPad/ (Android/iOS), Phone (Android/iOS), Laptop (Windows) or other BT devices. ★★★【Low profile typing & Smooth Keyboard】The Scissor-Switch BT keyboard provides you with very comfortable, pleasing typing experience and makes little noise. Our unique scissor-switch technology makes sure that even the softest keystrokes are sufficient to relieve any unnecessary pressure while typing. ★★★【Multi-Angel Stand Keyboard Case & Precise Cutouts】The three viewing angle is easy to adjust to any comfortable angle you want, suitable for working, writing, or watching videos at work, school, travel, and home. Full access to all features (such as cameras, speaker, ports and buttons). ★★★【Premium PU Leather & All-Around Protection】This Samsung galaxy tab A 10.1 keyboard case (No S Pen Version) is made of premium PU leather and soft silicone interior which can provide your tablet fully protection. Cover features magnetic closure, snaps on easily when closed. If you have any questions about this product by CHESONA, contact us by completing and submitting the form below. If you are looking for a specif part number, please include it with your message.